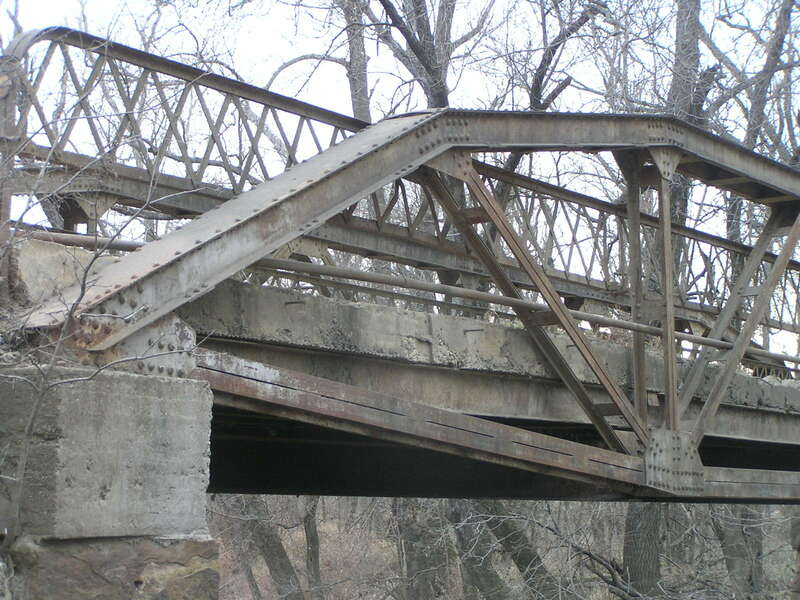 Built in 1909, this 80-foot long span is an interesting and rare example of a "fishbelly" Warren pony truss. 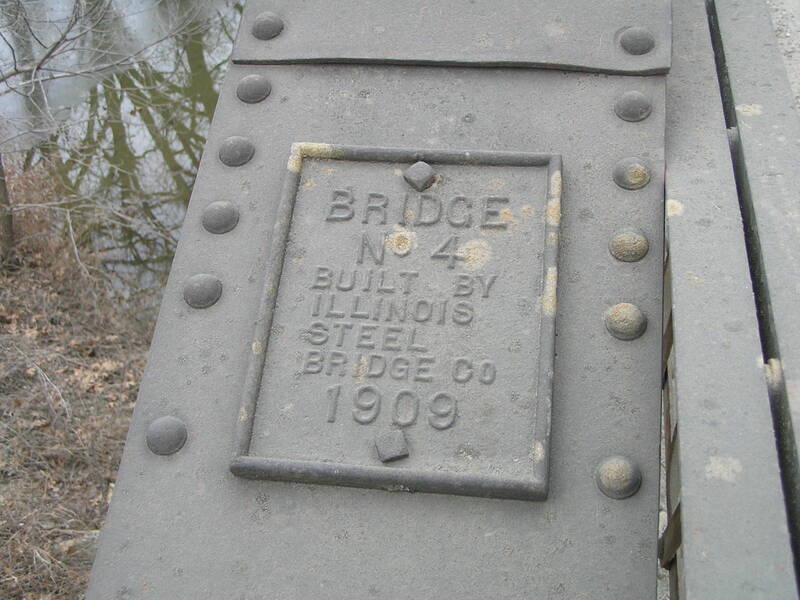 It was built by the Illinois Steel Bridge Co., located in Jacksonville, Ill. 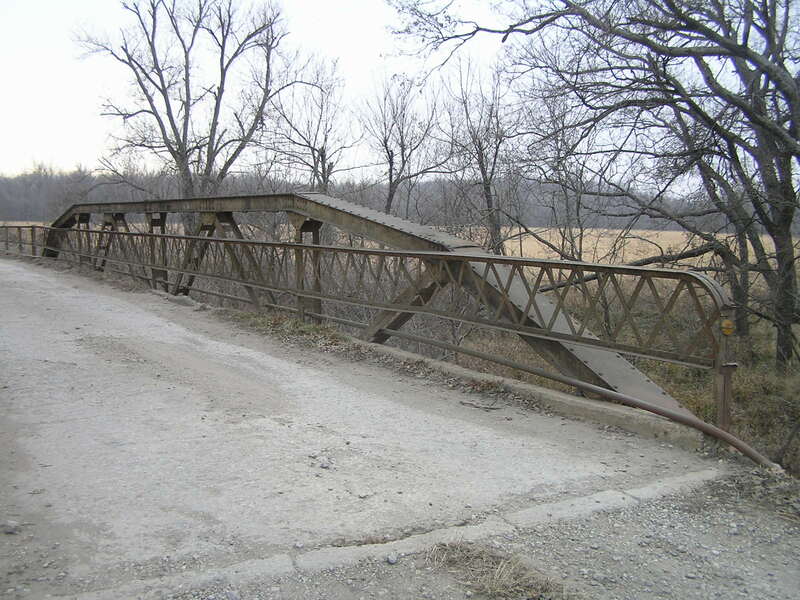 This firm built many of the steel bridges in Craig County before WWI. 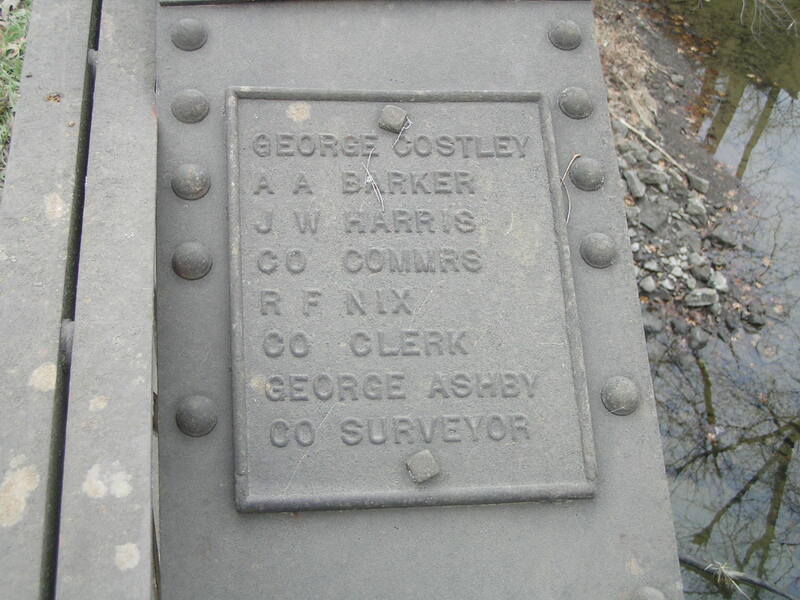 Below is the builder's plaque. Above, another plaque giving important county information. Below, an angle view of the truss span. In addition to the fishbelly shape of the lower cord, the span stands on nice stone piers. Above, a detail of the inclined portion of the lower cord. The inclined lower chord, which gives the span its fishbelly profile, was a gimmick aimed at making the trusses stiffer by providing a better attachment point for the floor beams to the upright members. 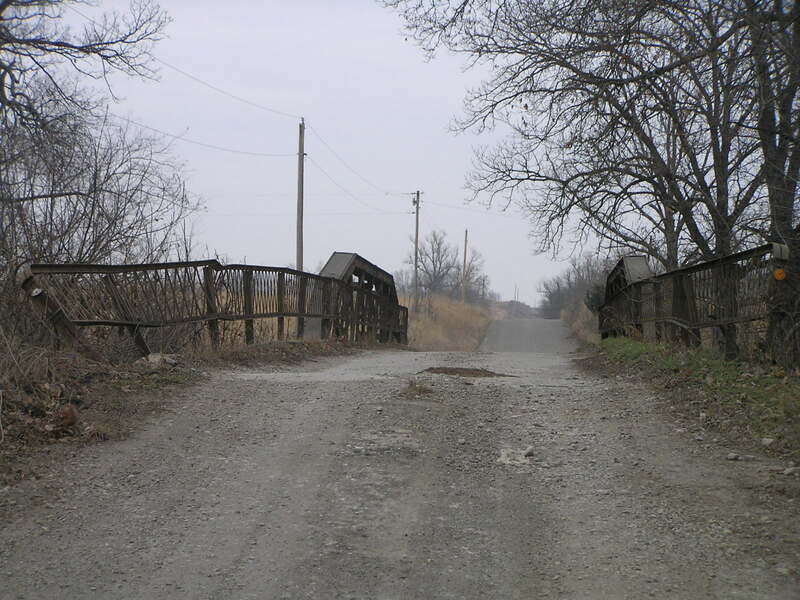 It was a design feature primarily for pin-connected spans, so it is unusual to see a riveted bridge with this design. Below, a deck view of the truss. 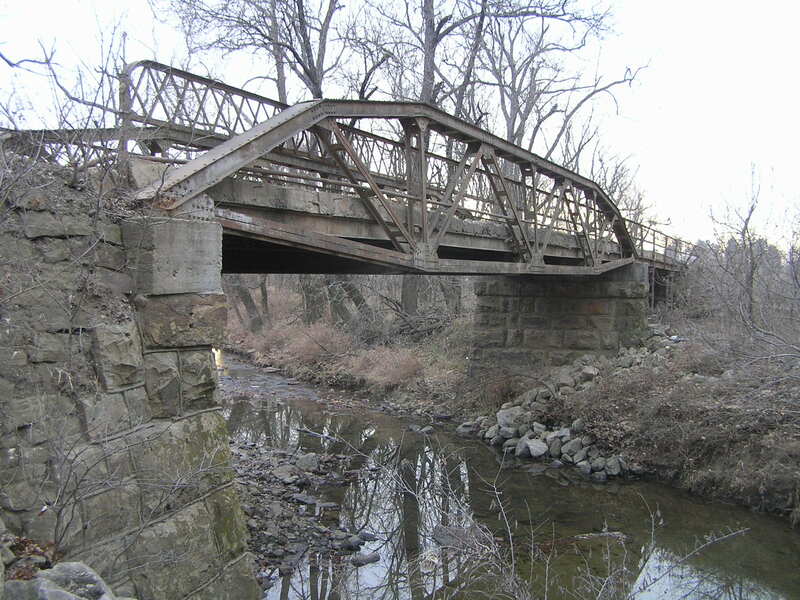 This bridge stands as an interesting example from the days before the standard plan spans that would come to dominate truss bridges.